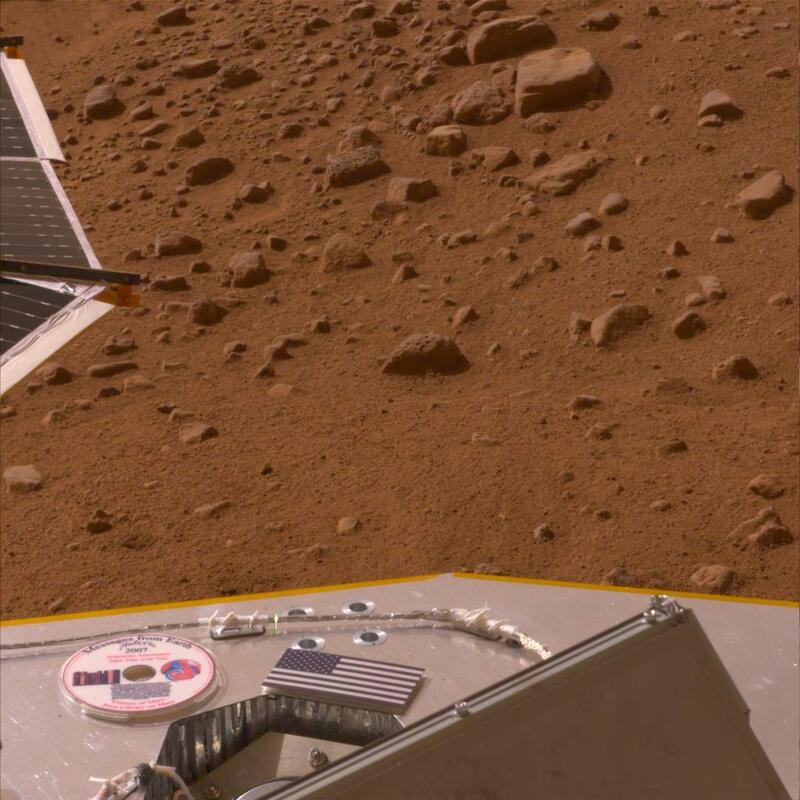 That image of the Phoenix DVD sitting calmly on Mars has been getting quite a lot of play across the Internet today, including on the home pages of NASA and the Phoenix mission at the University of Arizona. This image shows the DVD provided by The Planetary Society to the Phoenix mission, which contains 250,000 names of people who signed up to send their names to Mars. It also contains "Visions of Mars," messages to future Martian explorers, science fiction stories and art inspired by the Red Planet. The DVD is mounted on the deck of the lander, which sits about one meter above the Martian surface, visible in the background. It really speaks to the emotional connection that people feel to a space mission when they know their name is flying on it, which is why we here at The Planetary Society go to great lengths to try to get a disk (or microchip, or, in the case of Hayabusa, a piece of foil) with names from members of the public to fly on every space mission that we can. It's all part of a program we call Messages from Earth. Currently, you can sign up to send your name to the Moon on Lunar Reconnaissance Orbiter. The deadline for that is only a month away, June 27, 2008. We just put together a promotional video about Messages from Earth, featuring Bill Nye and Neil deGrasse Tyson. Check it out, and share it with your friends.